This is the advanced techniques section. If there’s a particular technique you want to see in here we’d love to hear from you, drop us a line on the contact us page. In this lesson, we show you how to play the wobble sound. This is the second variation in the wobble lesson series. 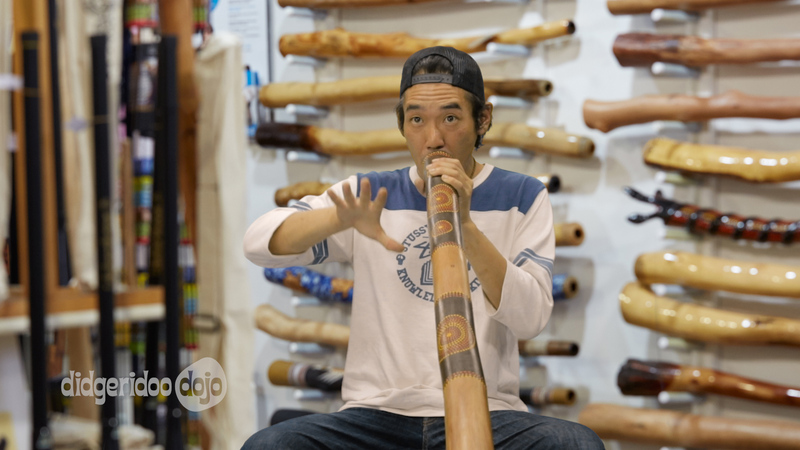 Take your didgeridoo rhythms beyond a single bar by overlapping harmonics to create an ever-evolving rhythm with this technique. Ever heard a didge player pump out rapid vocal calls and thought… where are they breathing?! This technique allows you to do a punchy vocal pop and take a breath at the same time. Sweet! 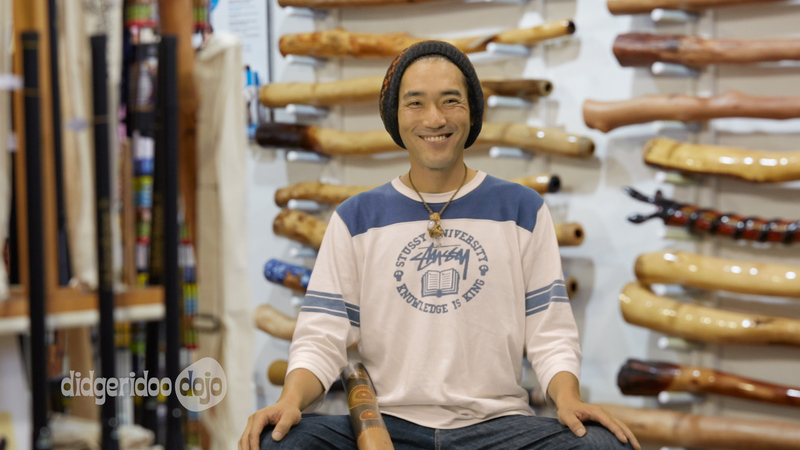 In this lesson, Sanshi shows you a rhythm using snare sound on the didgeridoo while breathing in! 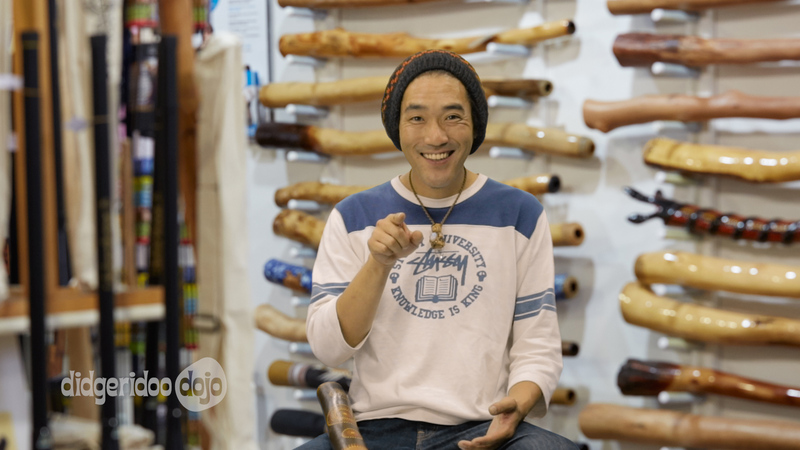 Want another unusual sound on your didge? In this lesson, Sanshi will teach you how tongue click on a Didgeridoo. This video will show you the great sound it will make when you combine a tongue pop and tongue click into a rhythm. Want to learn to play an unusual sound on your didge? 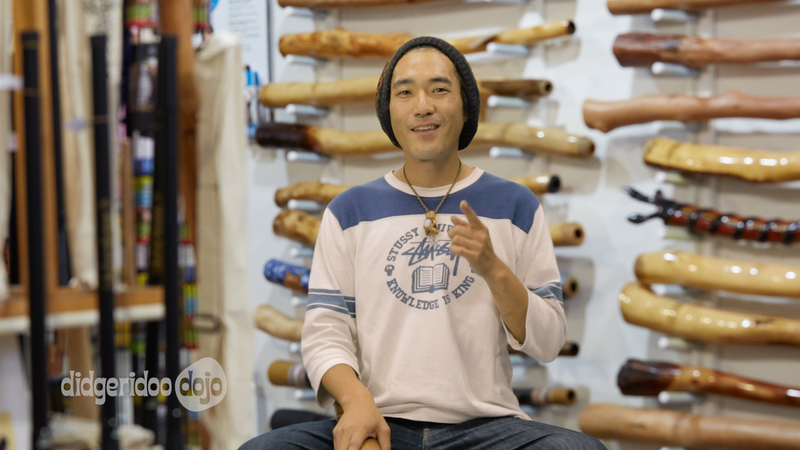 In this lesson, Sanshi will teach you how to play the flute sound on a Didgeridoo. In this lesson, Sanshi shares a rhythm that was used by his band on their first album “East winds” for the first track “7 for Esi”. 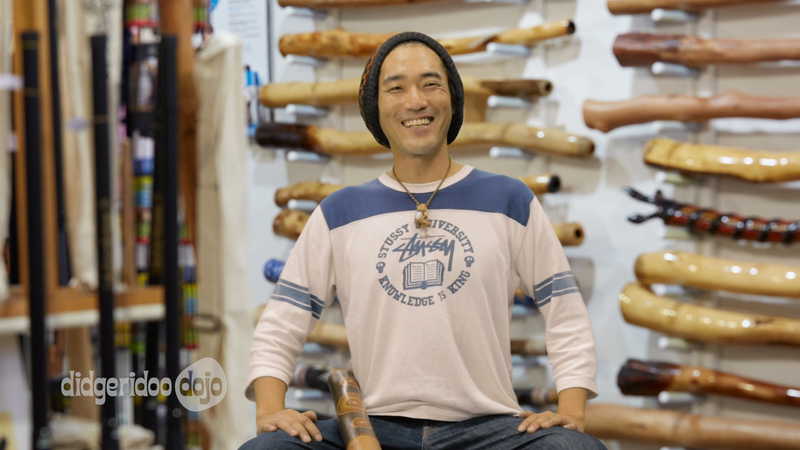 Meet Koji Matsumoto, our latest Didgeridoo Dojo instructor! 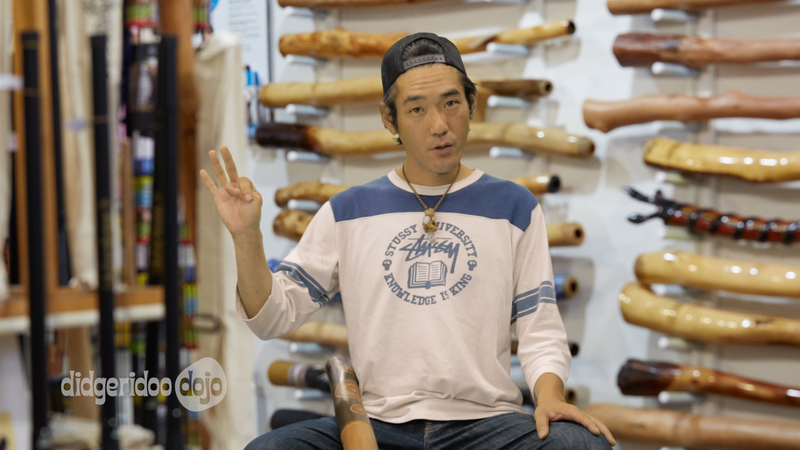 In this lesson, Koji will teach you a 7 phrase-rhythm that you can play on a didgeridoo using the Papa Mumma Technique. 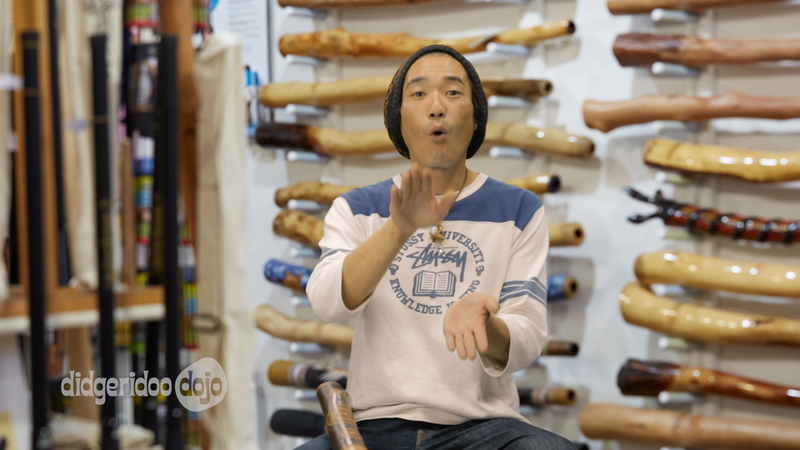 In this lesson, Koji is going to show us some beat boxing techniques on the didgeridoo. In this lesson, Koji will share a technique on a didgeridoo using 7 beats. 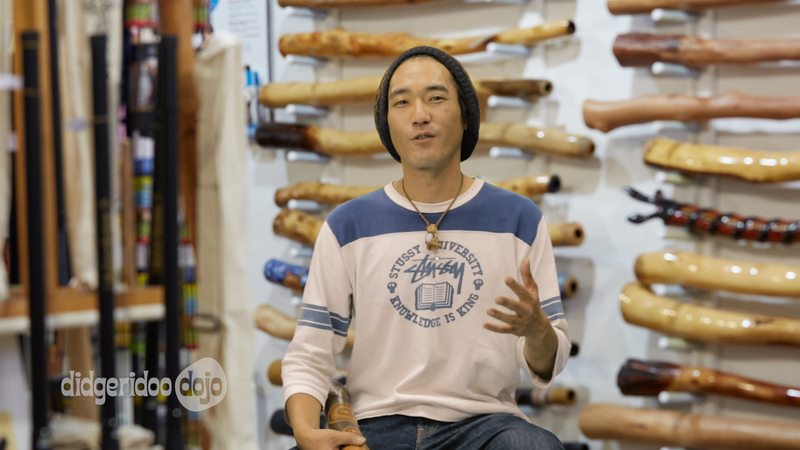 In this lesson, Koji is going to show us a new rhythm called African Rhythm with Toot. 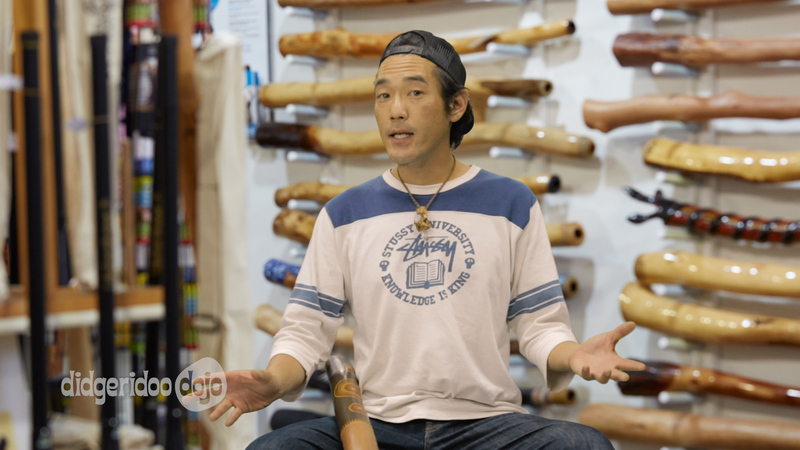 In this lesson, Koji is going to teach us the Shhhoh Technique using the didgeridoo. In this lesson, Koji will show us how to make a Jaw Toot. 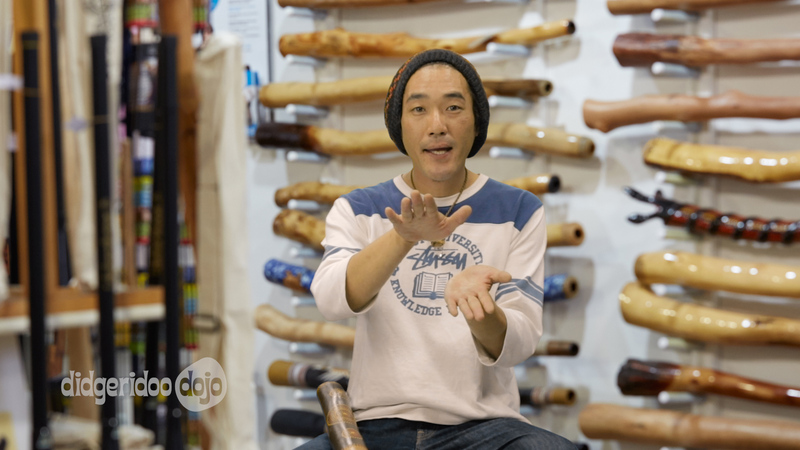 In this lesson, Koji will share to us a technique called Double Wobble, a well used technique in a didgeridoo. 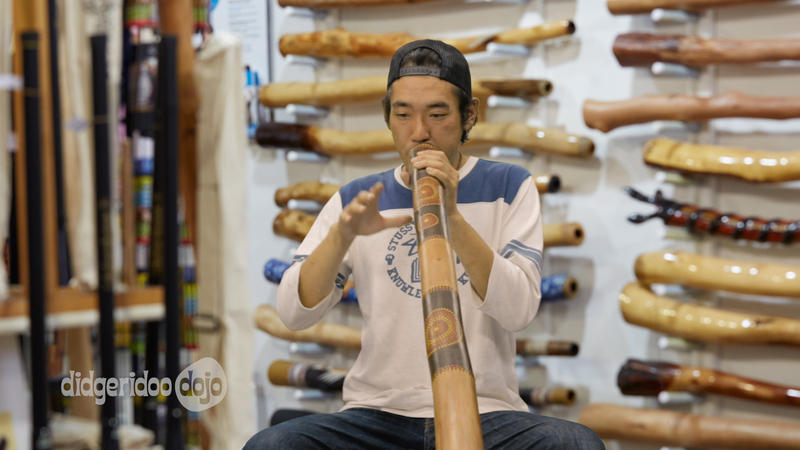 In this lesson, Koji will share to us a technique on how to circular breath while tooting.